I am listing this vehicle for my father. 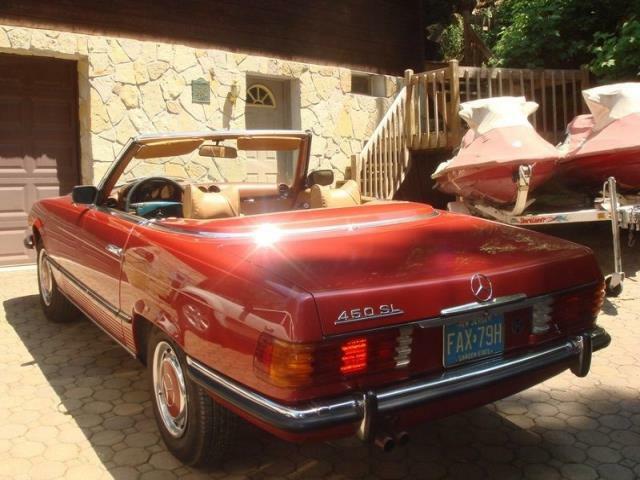 You are looking at a very nice two owner garage kept rust free Mercedes 450SL. My father bought the vehicle around 1985 and rarely uses it. The car was professionally repainted the original color in 1989. New Mercedes Seat covers were installed with a new top. As you can see the car is in very good condition. 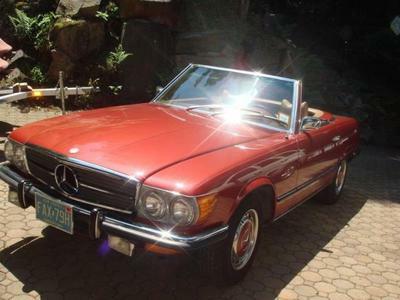 The AC is not currently working it may need to be recharged my father only drove it with the top down. The center console has a cracked piece of plastic (see picture) and the previous owner put the Blaupunkt Stereo in the car. Comes with matching hard top.